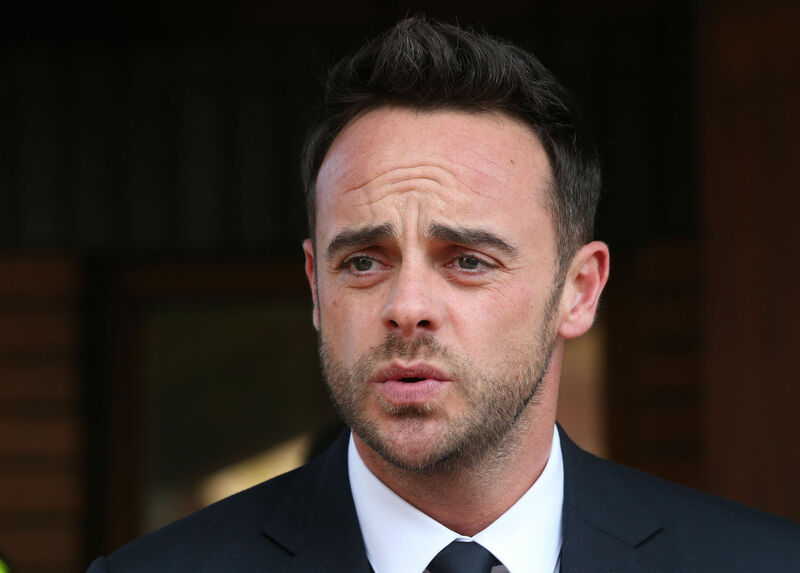 Ant McPartlin has said that he was "ashamed and mortified" while pleading guilty to drink driving. The TV presenter was charged following a crash with two other cars while driving in London on March 18. He has been fined £86,000, and given a 20-month driving ban. In a witness statement, the driver of one of the others cars said he and his wife "could have died as a result of Mr McPartlin's reckless driving". He was over double the drink drive limit, it was revealed at Wimbledon Magistrates' Court. The charges state that he had 75 microgrammes of alcohol in 100 millilitres of breath. This is compared to the legal limit of 35 microgrammes per 100 millilitres of breath. The driver of a BMW hit by his car said that he came round the corner like "a rocket". In a letter read out in court, Ant said he is "ashamed and mortified" and "accepts full responsibility". He said he let himself "and so many others down". He added that people in the public eye like himself should give a positive example to others, and that today was a "turning point" for him. Sentencing him, the judge said: "At the time when it happened you were struggling with various personal problems and also alcohol issues for some months. She also described McPartlin's previous "exemplary character", adding: "I think it will have quite an impact on you to know you're no longer a man of good character." Following his arrest, Ant's publicist confirmed that he was taking time off from TV work and is currently seeking treatment. His longtime presenting partner Declan Donnelly has hosted two episodes of Saturday Night Takeaway alone for the first time, and will also host Britain's Got Talent by himself. However, Ant was still seen in pre-recorded segments in both shows.